It's often enjoyable to consider what could have been - new IPs, sequels and spin-offs that never made it to stores. Examples such as Star Fox 2 and Metroid Dread have us wishing for the ability to visit an alternative universe, to play titles that were, at some stage, destined for our consoles. Even games we do get evolve a great deal during development, and it's in this area that this week's feature from Unseen64 is particularly interesting. It mines a lot of information on Metroid Prime, including the protracted path to the final product. There's plenty of interesting information there, including how the original action adventure concept that became Prime was a new IP that was rejected by Shigeru Miyamoto. Some of our favourite parts of the feature include bosses that didn't make it past the conceptual stage. You can see some familiar - and otherwise - boss designs below, and concept videos for an Ice Boss and a Flying Insect boss. Another concept that we found particularly interesting is an early idea for a 'living Chozo', which never made it to the game. We heartily recommend reading the full feature, which also demonstrates changes in design and visual style as the project progressed through years of demos and presentations. It's fascinating to see the lengthy route taken to produce what remains, we'd argue, as one of the finest games released on Nintendo systems. It's actually a good thing there are no living Chozo in the Metroid games - it gives them a very sad sense of mystery, especially when you realize that the Chozo Ghosts in Prime all fell victim to Phazon while hiding the artifacts (there are exactly 12 Chozo Ghosts in the game, one for each artifact), despite knowing what's going to happen. Just one of many reasons I see Prime as the best Metroid game. In addition, Zero Mission added an undertone of melancholy to the implications of how Samus feels when walking past Chozo architecture on all sorts of planets, but never finding a sole survivor. Metroid Prime is one of my favourite games of all time! Interesting to hear it was originally proposed as a new IP. I think it could have worked just as well without being a Metroid game, although I don't think forcing Metroid onto it made it any worse, as it has with some other Nintendo games. This has been covered in other sites and YT videos before, I saw a lot of that stuff in a "Did you know gaming" video. Nice read if you haven't stumbled upon with such sites before, though. At least is not a creepypasta or fan theory. I am going to read this! I don't say that very often. However, in the case of Metroid Prime, I make exceptions. I'm pretty sure that "Flying Insect" thing is actually a variation of Chozo of some sort. It's clear if you look closely. @Kaze_Memaryu wow, you really know your metroid!! I'll admit, it's all lost on me as I've always struggled to get 'into' metroid games and I'm not even sure I've finished one, the shame! 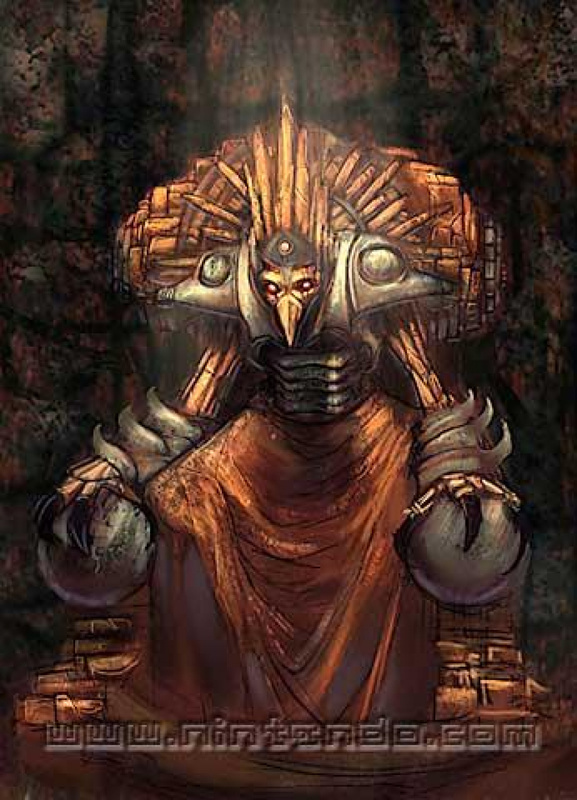 Crazy how much the game changed... but one thing that stands out, is how Thardus was originally a "fire boss". In the final version of Metroid Prime, Thardus is actually WEAK to the Plasma Beam, despite the fact that it isn't received until long after he is beaten (unless you have the correct version of the game and abuse exploits, like I did =P). Makes one wonder if he was supposed to be faced later, the Plasma Beam received earlier, or if they just "copy/ paste" the fire weakness. A lot of those early models were kinda... ugly-ish. But I to give kudos to the developer who went into work on 9/11. Not many would feel like doing anything after hearing about that. Shame about Kraid not getting in. Those other Metroids however... scarey. Hunter and Fission are bad enough. I love these stories on how great games evolve from concept to finished product. I wonder what a first person shine spark would have looked like? The part that makes me most sad is that Retro Studios existed to bring "Mature" titles to Nintendo. Their last two games were Donkey Kong Country Returns and Donkey Kong Country: Tropical Freeze. I think we all should mourn a little at that fact. @Darknyht why is donkey kong country so damn hard? haha I loved the first two originals. The third of what I played, didn't like it at all. @BarryDunne High difficulty is not the same as "Mature". Battletoads is insanely difficult, for example, but it's target audience was the TMNT crowd of the time. @Darknyht i wasn't referring to maturity. i was just making conversation..
@ULTRA-64 Haha, Metroid trivia and knowledge is one of my favourite obsessions! @DarthNocturnal Through some smart sequence breaking (on the GameCube version, at least), you can actually skip most of the Aether Research Base and get the Plasma Beam before the boss fight against Thardus. I did it once, and the fight becomes a pushover that way (though a few other things actually get much harder). 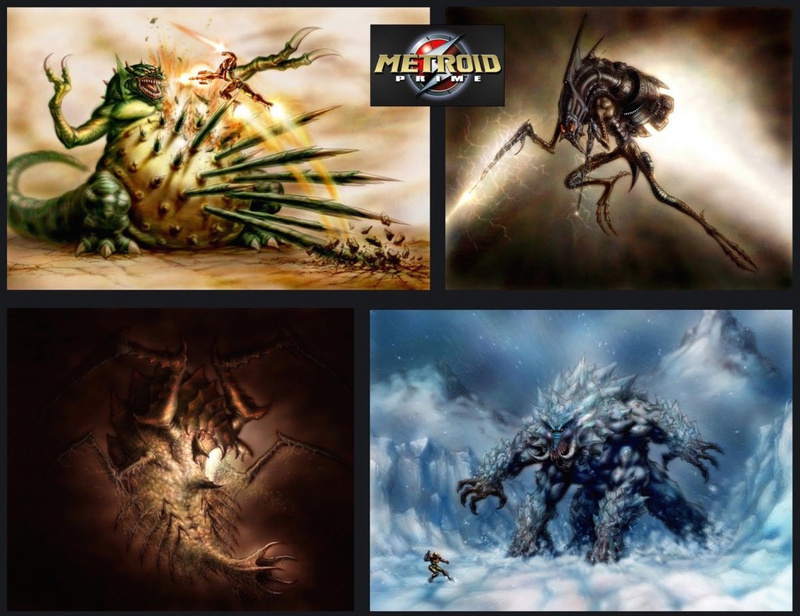 And just FYI: if you thought the concept art in the lower right was a Metroid, nope. That's actually a Parasite Queen. @Dolphin64 It looks more similar to Flying Pirates. I can only assume that this might've been intended to be a quicker version, or a Phazon-enhanced Flying Pirate. For a Chozo, it looks a bit too... slender. @Kaze_Memaryu I agree with you on the Flyer looking too slender to be a Chozo, but it would sure be cool to find ONE surviving Chozo (Perhaps struck with madness, or violent mutations) but since the Phazon is all gone now, it seems highly unlikely. Honestly, I'd like to see the Flyer as a 'Hunter' of sorts, like Sylux, Kanden and all of them! ...Am I the only one who thinks Metroid Prime Hunters needs an HD remake of the Multiplayer mode? So much fun was had, until people started cheating online. @Azikira Theoretically, it could happen. A rogue science team performing cruel experiments on a surviving Chozo to either weaponize or clone him, a lone Chozo who simply couldn't handle his foresight and went insane from his visions - there is potential. To become a hunter of his own class the Flyer (I like that name, actually) would require a bit more distinct features, but the idea is intersting. And yes, I agree. I never liked Hunters, but an HD remake would be very interesting, even if it was just to see the game with better graphics. Star Fox 2 in its most complete form (practically finished, if not completed) has been on the internet in ROM form for years now. 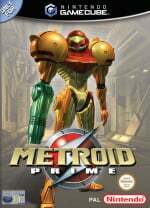 Metroid Prime is personally my favorite of the Prime Trilogy, and possibly out of the Metroid series. The story and the atmosphere where great with the investigation of were the phazon came from added mystery to the game. The controls were good too. As for the unused bosses and enemy designs are interesting to see, and the ones that did make the cut where still fun to fight. Kraid I heard was supposed to be the boss of the phazon mines, but was later replaced by the Omega Pirate. Prime is my favorite, next to Super. 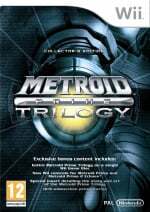 The atmosphere, music, flow of the game, how it stays true to the Metroid formula. Everything is there to make the game great. Even the unintended sequence breaking felt like something that was meant to be in the game. I'm thinking that Omega Pirate was always suppose to be there, with the intention of making Kraid the true boss after him. My theory coming from the fact that Kraid was cut simply due to time constraints. Although, with the size of the room that Omega Pirate had, he could've been modeled after an Elite Pirate and simply touched up to scale. And those piles of phazon weren't helping. "Phew I dodgAH ITBURNSITBURNSITBURNS"
@Kaze_Memaryu Well of course, you gotta take into account that these guys were scrapped at design (and a bit of animation too) so there's always tweaks you can make for the Flyer to fit the role! As for MPH, the story mode wasn't the best, but for the platform it pushed the envelope of what the DS could do. I always thought the true heart of the game was in the multiplayer function, though! I'd love to see a remake of just the online mode, with a few extra characters and weapons. That's actually a pretty interesting turn of events, if a Chozo was being cloned AND weaponized by space pirates. I can imagine Samus would have a very hard time dealing with what basically raised her being turned into mindless killing machines. @Kaze_Memaryu lol dame beat me to it I was going to say about thows 2 in the concept art (Lower left for the parasite queen in the pic btw) lol Metroid trivia is what I Enjoy to talk about too must admit i didnt pickup on the no of Ghosts in Prime nice spot there. @DarthNocturnal I had a very annoying glitch with Omega Spaice Pirats Armer plates on the Prime Trilogy on WiiU... non of them would brake and he only had atlest 15%ish HP left but no matter what i did thay would not Brake... annoying as id done that run perfectly uptill a SpacePirat jumped me whil i was hurting the boss (idk if that was what sparked the glitch off having the game think he was ment to be dead or something) wound up trying to brake his plates off for a good 30 odd minits.. eventualy just reset the WiiU and did him in no time what so ever the 2nd time. Oh just rememberd that after he recoverd and stoped the dmg time his annoying Hand Vacume seamd to be on all the time (probably the real reason for the glitch) only rememberd it after i sent the msg woopse lol. 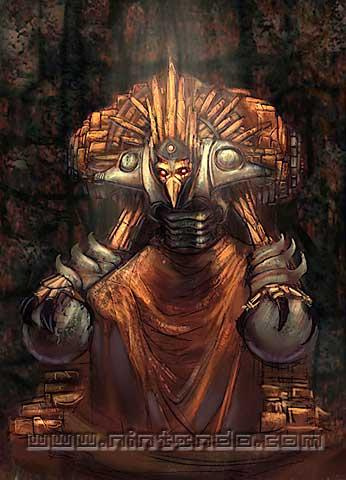 I'm glad they decided against putting a living Chozo in Prime 1. I'm sure their species lived on in some state, much like the Luminoth and the inhabitants of Bryyo. i find it interesting how stuff like this doesnt get release more often as its cool to see what could of been in the game or just the general thought of it im sure modified version of the concept art still makes it to the game but if it doesnt then this could be for a future game? Thing is, I'm pretty sure that even in the GameCube original, I'd hit his legs when he wasn't trying to absorb beam attacks, and they were "durable" then. They supposedly flash red when hit, but since the Plasma Beam itself is red, maybe it gives the impression of getting a hit, when really you were off by however much. In hindsight, the Nintendo Power guide suggested Super Missiles in addition to the Plasma Beam. If it wasn't for the desire to conserve ammo, I probably would've used those. I wish Nintendo would expand the Metroid-verse a little. Some titles have done that, but not in the grandeur sense that I would like. I'm really hoping Retro's new game is a Metroid, but not just an HD Metroid Prime (4). Do something that feels the same, but is way different.